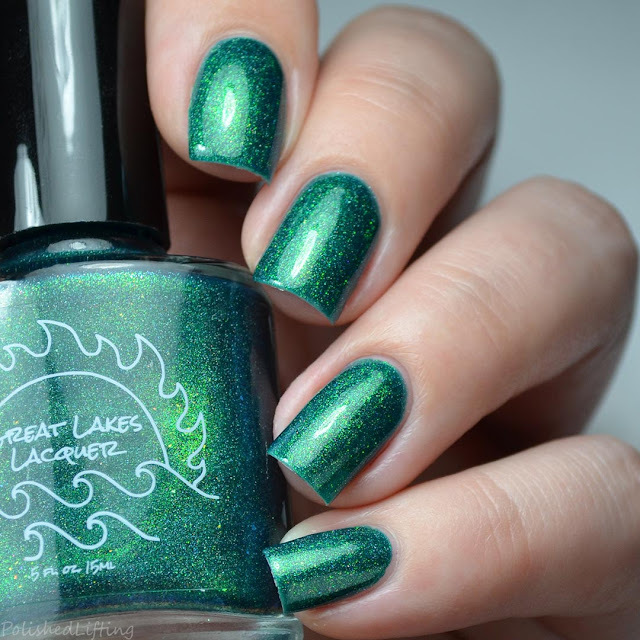 I'm back with more great things from Great Lakes Lacquer! Today's post features the September 2017 LE collection: Mermaids Of Lake Michigan. All three shades are variations of teal. If you've been paying attention you know how much this excites me! The inspiration behind the Mermaids Of Lake Michigan as told by Mariah: "Three mermaids, names for the three main little girls in my life (my two daughters and my best friend's daughter, who is like my niece). If there is water in the vicinity, they are in it." I hope you guys are ready for these lush, mermaid inspired shades! 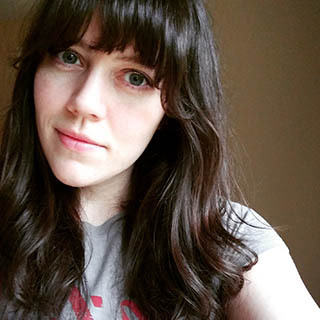 Notes: Mermaids Of Lake Michigan: Bristol is so rich. 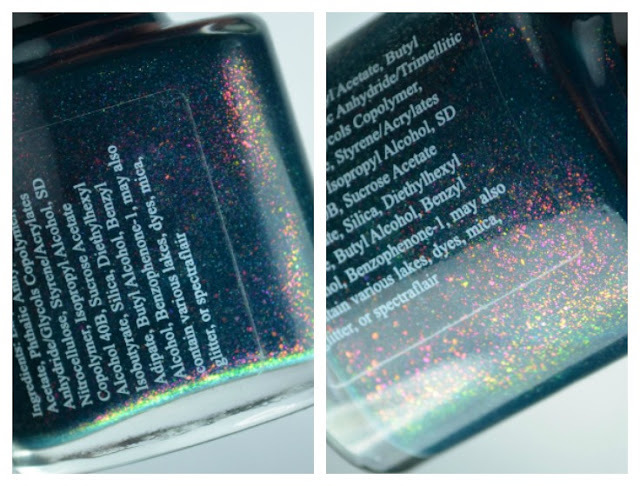 I adore the shifting shimmer in this shade immensely. Notes: Mermaids Of Lake Michigan: Helena is wildly different from the other two. It tends to shift between green (reflected light) and green leaning teal in low light. Notes: Mermaids Of Lake Michigan: Sophia is the most blue of the three. If you check out the blurred bottle in a couple of photos up you can see how wild the shift is. The Great Lakes Lacquer Mermaids Of Lake Michigan collection will be available from September 15th through October 2nd. They launch an go down at 2pm EST respectively. Sets retail for $30, or they may be purchased individually for $11 each. There will be a limited quantity available at the September 2017 Polish Con in Chicago. 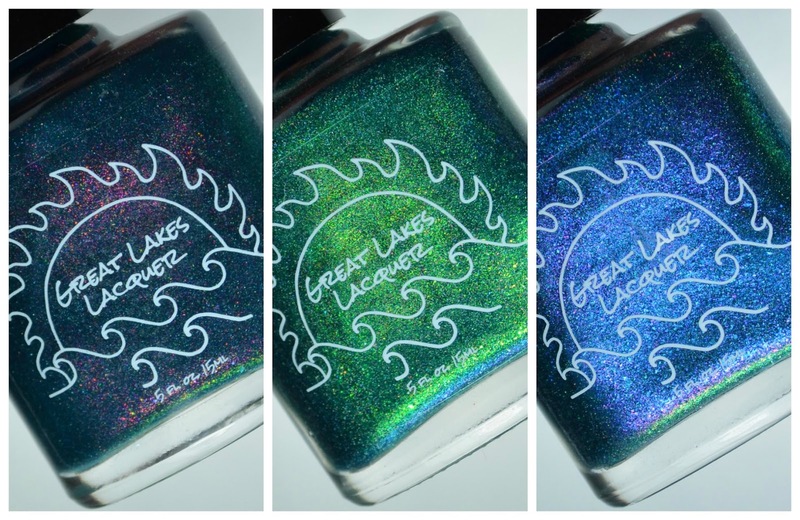 If you enjoyed this post you might like Great Lakes Lacquer Notes To Self Collection and 31dc2017 - Scattered Dots feat Great Lakes Lacquer Chicago Shenanigans.